A Borderline Mom: Gift idea: Is Your Dad Your Hero? Still looking for something special for your dad for Father's Day? You could get him another grilling apron to add to his pile of useless stuff that you've been getting him every year. Or you could actually get him something that he'll remember forever as something that you actually put thought into, that shows him how awesome you think he is! I received a Level Four Superman package gratis and it is adorable! It's a wonderful idea for a tribute and can be dedicated on your kids (with a little financial help for mom) or a great gift from an older child to show how much they appreciate everything he has done for them throughout their lives. With all that some dads do, it's amazing that they don't actually have super powers!! Each level includes an induction into the Hall of Heroes with their name, induction certificate, social media profile picture and social media cover photo. There is a search option on the website where anyone can search a name and see that person is in the Hall of Heroes. Check bottom of this post for a code for a free level one membership- exclusive to my readers!! "Inspired by Superman and the character attributes that define the world’s first and most recognized Super Hero -- unwavering morals and an endless pursuit of truth and justice -- the Superman Hall of Heroes site offers a fun and inspirational way for fans to pay tribute to their heroes by submitting their photo and story online to www.SupermanHallofHeroes.com. As part of their tribute, consumers can choose from multiple gift-giving options and levels. 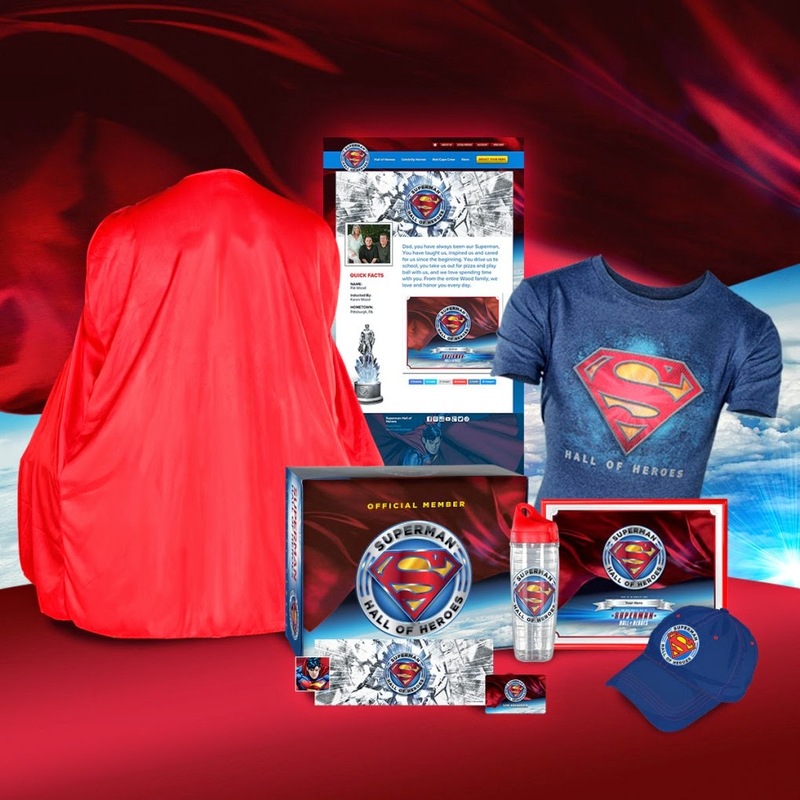 Through Father’s Day, a portion of the proceeds from sales of Superman Hall of Heroes packages will go to The Christopher & Dana Reeve Foundation." -- blast info. So if you're still trying to find a Father's Day gift with meaning, this is definitely unique and since it's charitable as well, your dad will be proud of you and proud of the gesture. He's sure to never forget it! !